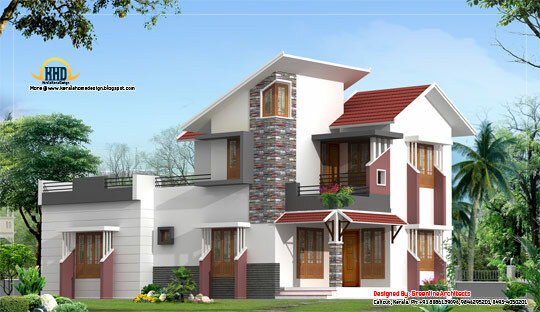 Home 1500 to 2000 Sq Feet 3BHK Contemporary Home Designs Indian Home Design kerala home design kerala home plan Modern house designs New Home Designs Modern house elevation - 1691 sq. ft.
Modern house elevation - 1691 sq. ft.